Collaboration is one of the key ingredients in music, especially in jazz; without that dynamite chemistry between musicians, melodies do not sing, grooves will not move, the beats could not swing. For keyboardist Steve Weingart, he has found the creative partner of a lifetime in bassist/vocalist Renee Jones. It was destined to be; after all, Jones is his wife. 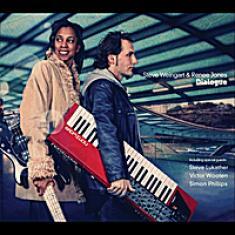 The duo has just released an album, Dialogue, of smoothly layered and chilled-out jazz fusion. The soulful playing on the record not only unveils a marriage of melody and technical craftsmanship but also reflects the unity of two hearts in synchronized rhythm. According to Weingart, the relationship between he and Jones is rooted in their adolescence. "Renee and I are high school sweethearts," Weingart revealed. "We actually played together in high school band. I know it's cliché to say it, but we really are best friends." He added that creating the album with his significant other has tremendous benefits - in the present and in the future. "We really haven't explored all the possibilities - is it possible to explore every avenue - of musically working together. She has been playing bass for many years, and really getting good on her instrument. In the case of the Dialogue CD, I was composing music thinking of certain players to be involved, and it just popped in my head to have her be in the band. I'd been working with some of the best bass players in the business over the years, but I felt that she really had a vibe for the music I was working on. After we decided on that, she offered some of her compositions, and we just sat together in the studio and had a musical conversation that ended up being Dialogue." If Dialogue is the music equivalent of discourse, then it is certainly sweet talk. The compositions are warm to the touch, caressing the ears with the lush, atmospheric textures of Weingart's synthesizers. Unlike other jazz fusion artists who are primarily focused on impressing genre aficionados with their knowledge, Weingart is more concerned with feel and emotional substance. "The biggest observation I have at this point in my musical life is the process of taking away things that aren't necessary," Weingart explained. "As I grew up in classical music, I developed a surplus of technique. It is interesting to me that some of the most emotional and touching music are simple in theory and execution. Don't get me wrong, when technical abilities are needed, they are really necessary, but that isn't all of the time. I feel that over the years, I've learned to become a better judge of when to present listeners with what the music intends to transmit." Weingart and Jones will be performing alongside G3 - Joe Satriani, Steve Vai, and Steve Lukather - beginning March 24th in Wellington, New Zealand. 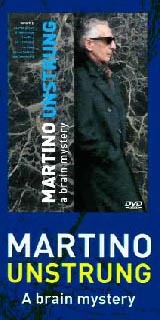 See http://www.satriani.com/G... for details.